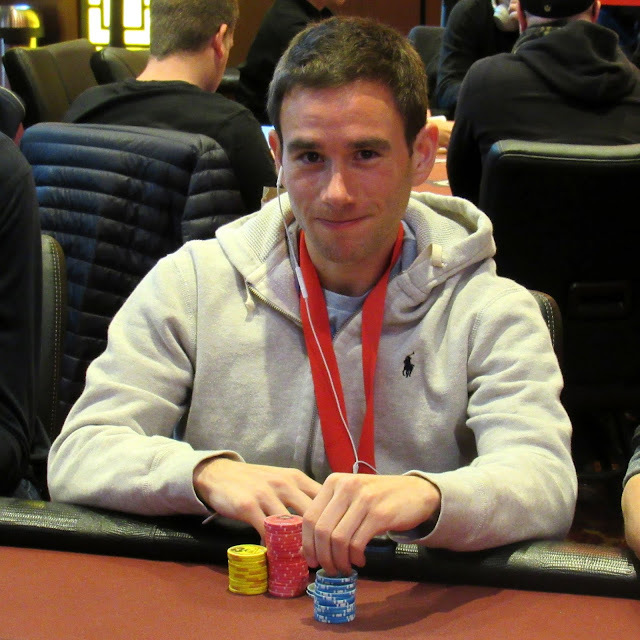 Anthony Wise moves all in preflop for 92,000 under the gun, and Shooting Star Alex Greenblatt reraises all in over the top of him. Everyone else folds so the two remaining players reveal their cards. Wise is eliminated in 53rd place, good for $9,600, and Greenblatt stacks up 369,000 after collecting the pot.